I’m Larry Miller. I have recently retired from a three decades long psychology practice in Austin, TX. and have returned to an earlier passion: creating functional art. I took up sculpting in the 1980s and have had sculptures (mostly Native American themes) in local galleries, shops and festivals. In the last 10 years, I’ve been creating smaller relief sculptures that could be cast and attached to stone tiles and incorporated into clocks, mounted on the tiles, thus the name, Stoneface Clocks. More recently, I have added a variety of home and office accessories to my offerings. I have spent most of my adult life in the southwest and the human and natural influences of this region of the country are evident in my work. I am particularly drawn to working with natural elements, both in the materials I use and the themes and relief images I create. 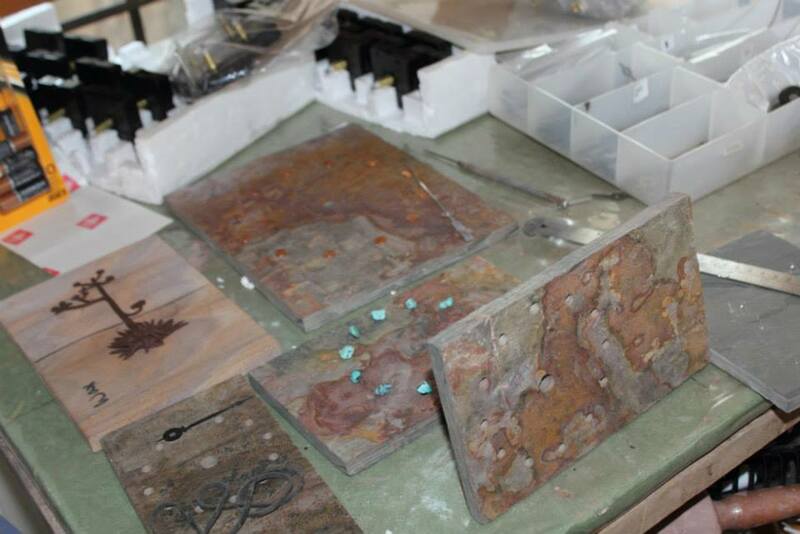 Blending the stone materials with the sculpted images combines these elements into unique clocks and accessories. The images are sculpted out of clay, a rubber mold is made, and either cold cast bronze, resin or hydrostone castings are produced and cemented to the face of the product. I enjoy searching out interesting stone tiles, always wondering, “What would look good on this?” Sometimes an existing image dictates the choice of stone; sometimes the nature of the stone suggests an image I haven’t yet sculpted. This process of ‘chicken and egg’ keeps me involved in both sides of the creative process. The finished products fall within one or more themes: Coastal, Texana, Desert, Longhorns, Religious, Golf, Simple Elegance, and others. The stone tiles include Sandstone, Slate, Limestone, Terrazo, Marble, and other varieties. Most of the clock faces have only drill-tapped holes indicating the ‘hours’. 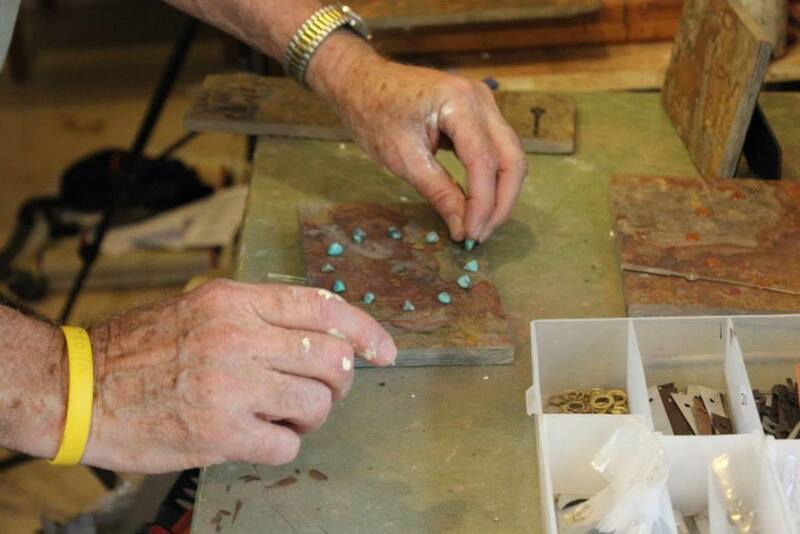 On others, turquoise, copper nails or other materials that enhance the overall appearance of the stone indicate the hour. Larry creating the image in clay, from which a mold will be made and then cast in cold cast bronze, hydrostone or other materials.